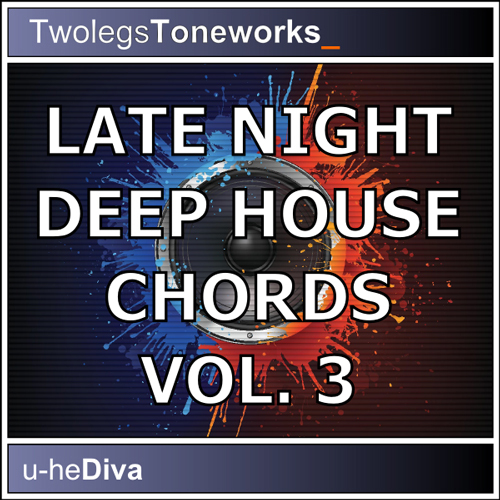 ‘Late Night Deep House Chords Vol 3 For Diva’ is a collection of freshly programmed House chord stabs created for U-he’s fantastic “Diva” synth. The soundset is aimed at the deeper sides of House, but can be used in just about any House or Techno genre that uses chord stabs. This chord collection is guaranteed to fit perfectly into your next Deep Techno, Garage and/or Soulful House track. Supplied in native h2p-format for loading directly inside the Diva user interface.